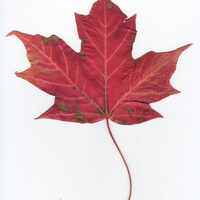 "Dietary intake of a phenolic-enriched extract of maple syrup reduces neuroinflammation in the 3xTg-AD mouse model of Alzheimer’s disease "
Alzheimer’s disease (AD) is a growing public health concern characterized by the loss of cognitive ability and eventually death. Neuroinflammation has been implicated in AD progression and its reduction using dietary natural products and functional foods has attracted significant research interest for AD prevention and management. Recent work from our group has shown that a phenolic-enriched extract of maple syrup, MSX, reduces the presence of neuroinflammatory markers in vitro. Therefore, we hypothesized that dietary intake of MSX would mitigate neuroinflammatory markers in an in vivo murine model of AD. The transgenic mouse strain 3xTg-AD, which harbors three genetic mutations found in familial AD that affect both amyloid and tau expression, were fed 100mg/kg/day MSX, 200mg/kg/day MSX, or solvent control for thirty days. The mouse brains were dissected and analyzed by proteomic and molecular biology techniques. Lipid peroxidation was used as a marker for lipid bilayer damage in the brain. To relatively quantify neuroinflammatory markers, we employed LC-MS/MS with SWATH acquisition. This method allows for the unbiased, relative quantification of every protein identified by the mass spectrometer without the use of heavy label standards or antibodies. Using this method, we identified several significant differences in the expression of inflammatory markers between control and MSX treated animals. Most notably, triggering receptor expressed on myeloid cells-2 (TREM2), stimulator of interferon genes (STING), and complement serum protein C1q were reduced considerably in animals treated with MSX versus control animals. Additionally, the expression of anti-inflammatory markers such as superoxide dismutase (SOD1) was expressed at a higher level in MSX treated animals. As demonstrated by ELISAs, the generation of amyloid species was not altered between treatment groups suggesting that MSX affects the inflammatory pathways responsible for inflammation, and not differential generation of amyloid species. Taken together, these results demonstrate that the dietary intake of MSX reduces neuroinflammation in the 3xTg-AD mouse model warranting future investigation of this natural product.